The Klark Teknik 76-KT Compressor remains true to the original D and E versions of the iconic 1176LN compressor, while also introducing a modern yet still completely discrete signal path. The innovative signal path combines hand-selected components and custom-engineered MIDAS input/output transformers, creating pristine sonic quality and unparalleled performance. 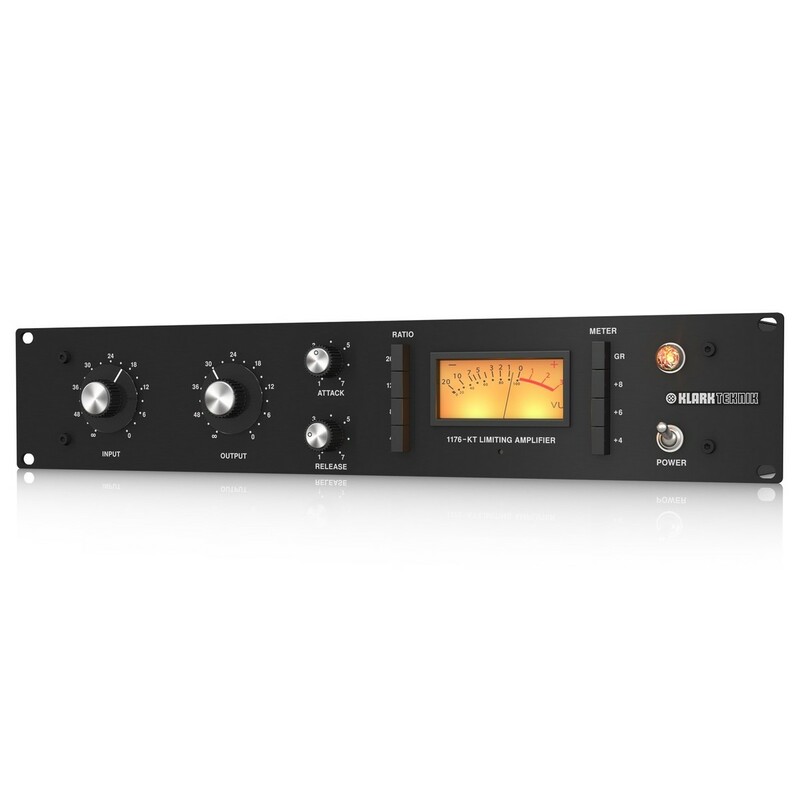 All of the compression ratios can be easily selected using the front panel push buttons, allowing you to chose from moderate 4:1 compression to hard limiting 20:1 compression. The Klark Teknik 76-KT provides incredibly fast attack with an adjustable time from 20 microseconds to 800 microseconds and adjustable release time from 80 milliseconds to 700 microseconds. 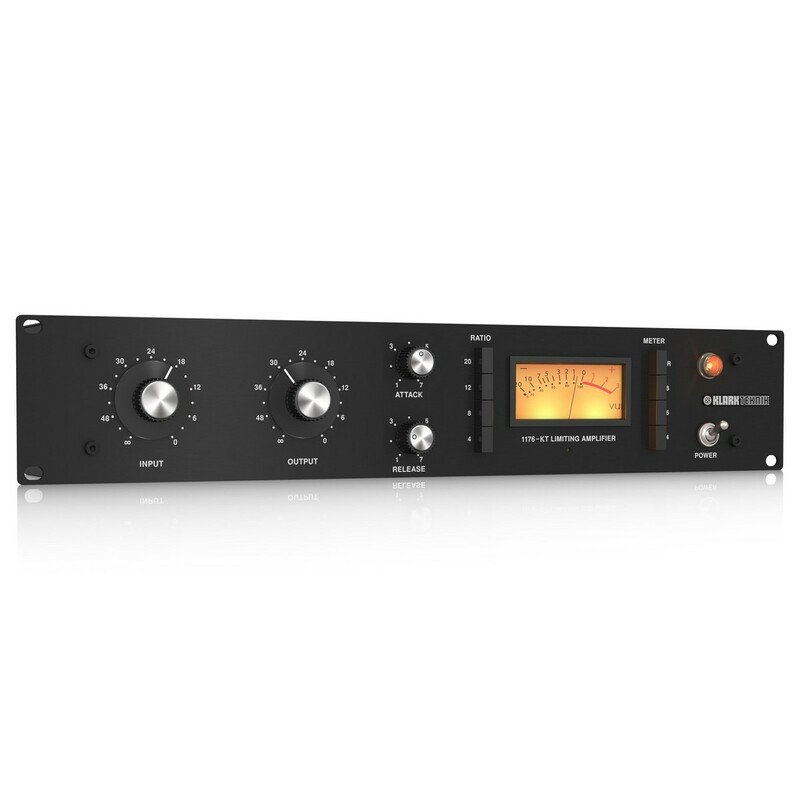 Complete with a rugged 2U rack-mountable chassis, the Klark Teknik 1176-KT FET-style compressor is perfect for both installed applications, touring rig setups and studio outboard racks. 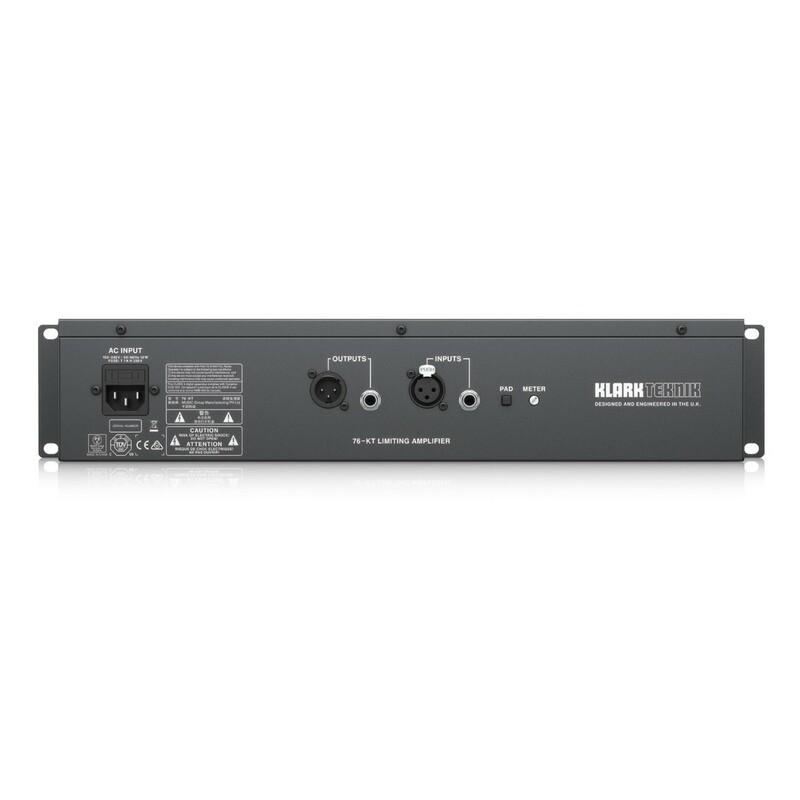 The Klark Teknik 76-KT FET-Style Compressor is equipped with MIDAS designed input and output transformers which ensure pristine sonic performance and high-resolution audio reproduction. MIDAS has a long history of innovative within the world of audio mixing consoles and is renowned for their no-compromise approach to both audio integrity and built-quality. Klark Teknik is proud to incorporate MIDAS designed input and output transformers within the 76-KT compressor. The 76-KT compressor is equipped with adjustable attack and release, providing the ability to tailor the sound to suit performance and achieve the perfect sonic quality. The Attack control knob adjusts the amount of time it takes the compressor to respond to audio that exceeds the threshold. The Release control knob adjust how long the compressor remains engaged after the audio falls below the threshold. 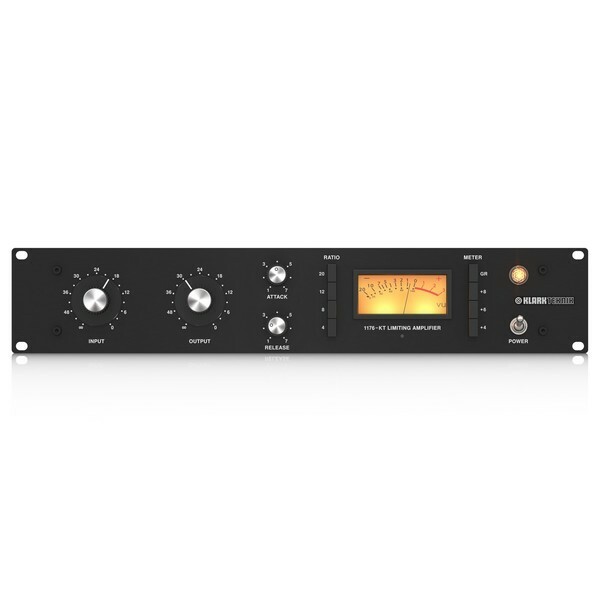 Additionally, the Klark Teknik 76-KT has convenient push buttons that allow you to quickly and easily select any or all of the compression ratios. The 76-KT FET-style compressor delivers the following ratios; 4:1 for moderate compression, 8:1 for severe compression, 12:1 for mild limiting and 20:1 for hard limiting. Additionally, the ''All-Button'' mode can be utilised to create an aggressive sound that is perfect when applied to drums, bass, guitars and vocals alike. Paying homage to the original 1176LN compressor, the front panel of the Klark Teknik 76-KT features an illuminated vintage-stlye VU meter. This VU meter provides convenient visual feedback and confirmation of both the gain reduction and output levels. A meter reading of 0 corresponds to an output level of +4dBm, +6dBm or +8dBm depending on which button is engaged.